The role of religion in conflict situations can be powerful. The use of religion in alternative dispute resolutions may produce sensible resolutions for the disputes of the parties who share the same religious faith without having to go to a court. However, the norms of what is right and what is wrong in a particular religion set different rules from what is legal and illegal under the civil law. This leaves minority groups vulnerable and subjects similar cases to vastly different sets of arbitrary rules. For instance, in family law, the use of religious doctrines to resolve issues such as divorce and marriage is problematic because the religious doctrines are often prejudiced against women. Furthermore, the proceeding of religious arbitration is quite different from legal procedure, foregoing many steps of investigation and discovery that are instrumental for fact finding. As a result, those individuals who agreed to religious arbitration do not get a day in court and have to accept the decision by the value-laid religious principles of which they may or may not believe in. One of the biggest controversies is that religious arbitration may shield religious organizations from liability. When religious arbitration is used to decide a secular issue, there is a concern that religious arbitration often results in outcomes favorable to the religious entity and unfair to the individuals who signed the religious arbitration contract. With such skepticism religious arbitration brings to the table, you may believe that courts would intervene. Unfortunately, courts rarely do. The First Amendment’s Free Exercise and Establishment Clause preclude courts from meddling with religious exercises of faith and from favoring one religion over another. Consequently, courts have either upheld religious arbitration or refused to review these cases under the First Amendment. This judicial preference to uphold religious arbitration sometimes leaves truth untold. Ms. Spivey, a mother, wanted to find out what occurred or led her gay son to death when her son was found dead while he was in the custody of Teen Challenge, a Christian based rehabilitation program. One day, she got a call from Teen Challenge that her son was intoxicated and was being taken to a hospital. When Ms. Spivey called the hospital, she was told that he was never admitted there. He was missing and later found dead. Ms. Spivey attempted to find out what happened to her son. She tried to bring a wrongful death suit, but could not because she signed an agreement that contained a religious arbitration clause when she enrolled him in the program. Under the clause, any disputes had to go to Christian conciliation, the religious arbitration. The mother appealed, challenging that a court should decide the matter, not the religious arbitration. She argued that her First Amendment right also included the right not to exercise religion. While it is a correct statement and interpretation of the Free Exercise clause, the court found that there was no constitutional conflict. In any case, she had signed the agreement to arbitrate and was suing on behalf of her dead son. Accordingly, the appeals court did not review the case and parties proceeded to religious arbitration. The facts show that many questions were unanswered. Why was her son intoxicated and why was he not admitted to the hospital? Did the pressure from Teen Challenge worsen his drug abuse? Why did he end up in a city with no money or cellphone? While the First Amendment prevents courts from reviewing religious arbitration awards, courts can review the awards based on contract law. 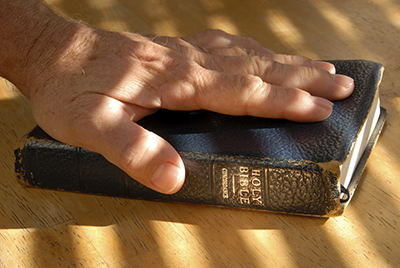 Courts can review religious arbitration agreements just like any other contract. Proponents of religious arbitration argue that you cannot challenge the arbitration agreement because you voluntarily enter into the agreement to arbitrate. Admittedly, in contracts that contain religious arbitration clauses, courts almost always order the arbitration, finding that there is a valid contract to arbitrate. Furthermore, in regard to whether the arbitration award should stand, courts almost always affirm the arbitration award. Courts may vacate the award where the award is a product of fraud, corruption, or serious misconduct by an arbitrator. Courts seem to focus on the procedural aspect of arbitration. Judges often will not opine whether arbitration awards are substantively fair. Admittedly, freedom of contract is a long-standing principle that deserves due respect. Contracts cannot void agreements just because the parties have unequal bargaining power. As consumers, we more and more encounter an agreement containing an arbitration clause that is take-it or leave-it situation without any room for negotiation. This one-sided contract has become a fact of modern life. However, with expansion of practice of arbitration in consumer contracts, courts sometimes invalidate arbitration agreements if the contract is unconscionable. The contract is unconscionable if it was so extremely unfair to shock the consciousness. Perhaps, courts could use the same doctrine to void the religious arbitration clause when the contract was entered into under extremely unfair circumstances. Perhaps, for public policy grounds, courts should gradually review more cases decided by religious arbitration to identify particular secular issues that are unfit for decision making based on religious principles. « Is Forcing a Defendant to Read about WWII Creative or Cruel?